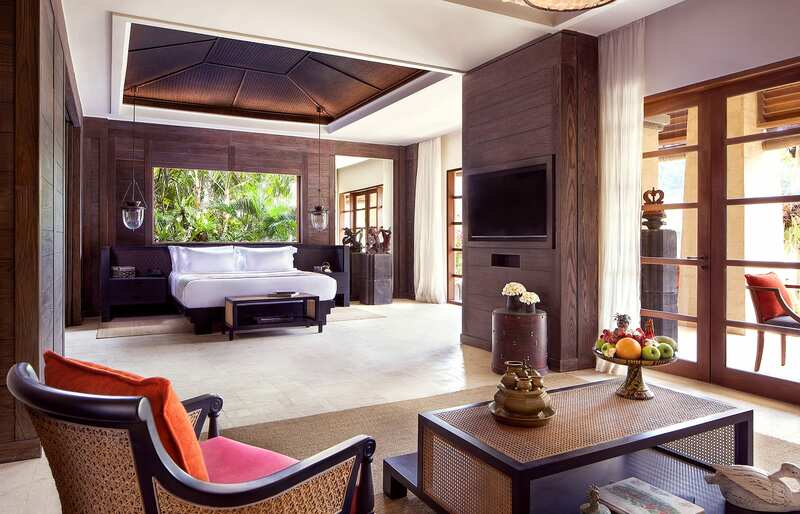 For at least three decades the tropical heart of Bali has been home to some of the world’s best resorts—and now joining this exclusive club is a new Reserve from Ritz-Carlton, the renowned chain of luxury hotels. 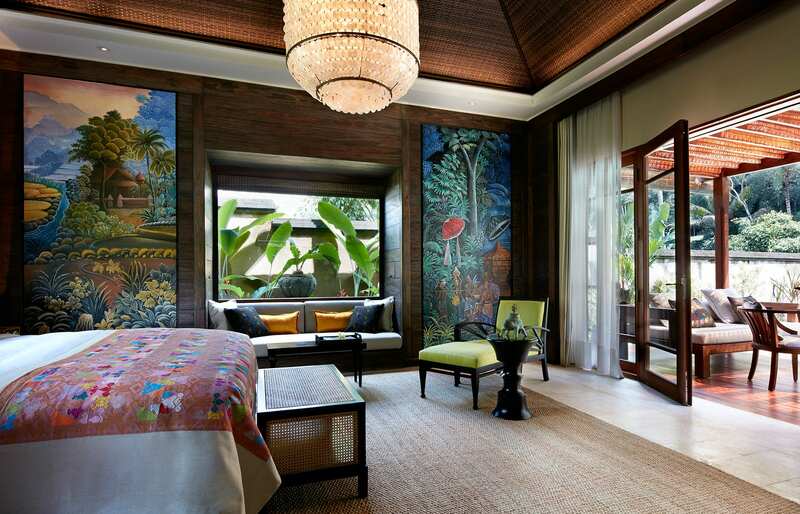 When planning our latest trip to Ubud we had a hard time picking resorts to stay at. 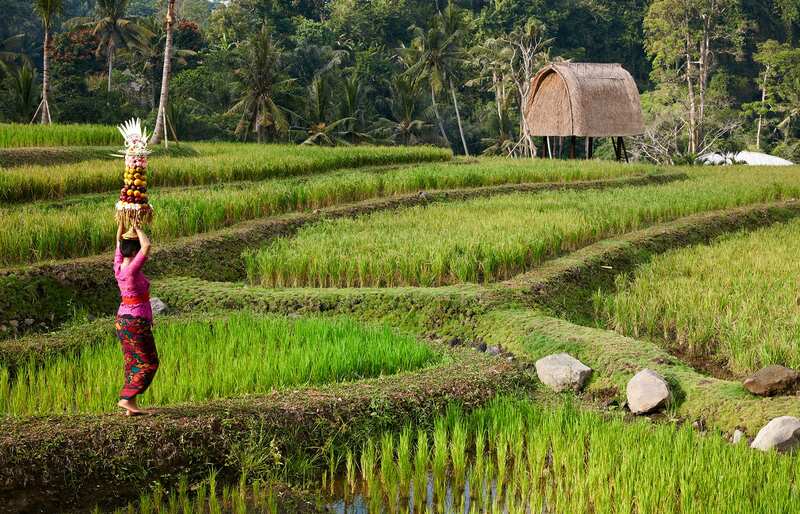 There are dozens of high-end hotels in this cultural centre of Bali, and over the years we’ve checked out quite a few of them. 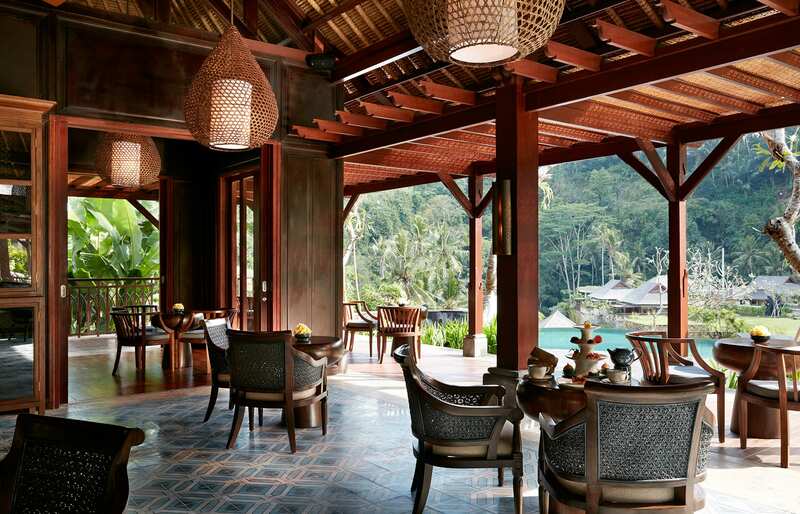 Eventually, we booked stays at Amandari, Amankila, and Four Seasons Sayan, but we had a slot to visit one more. It seemed only fair to spruce up our itinerary of the well-established bunch with a property that has just opened. Arriving via a small road and entering the elegant, but somewhat nondescript lobby does not prepare for spectacular views. 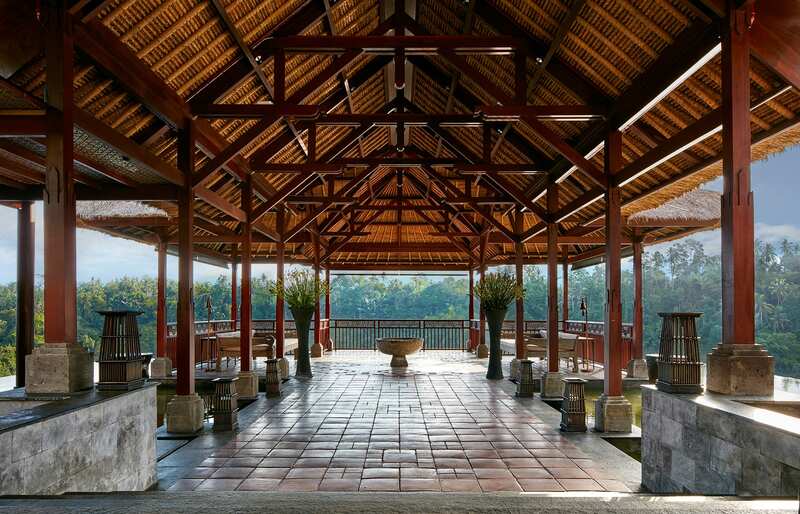 Set on the cusp of the Ayung river valley, the terraces behind the lobby are designed to maximise the vantage point, ensuring some truly beautiful vistas over the rest of the resort and beyond. 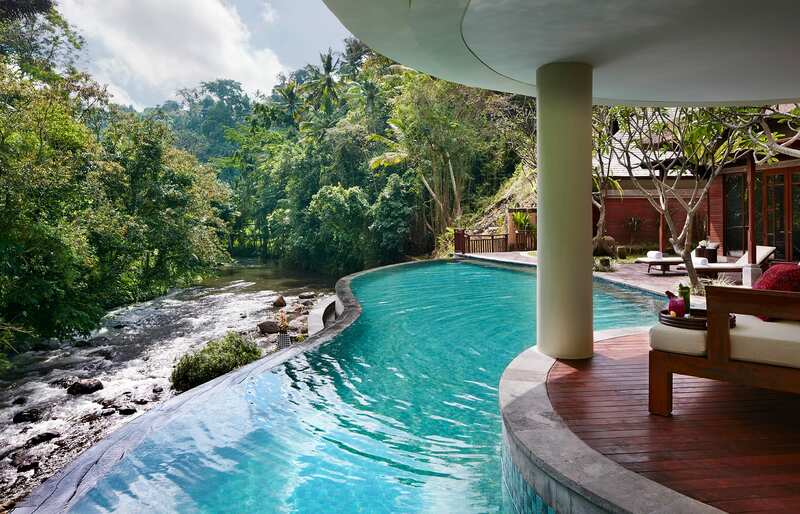 The villas and restaurants are far down, spread by the river which cuts through Bali’s lush jungle and outlines the Mandapa, a Ritz-Carlton Reserve. 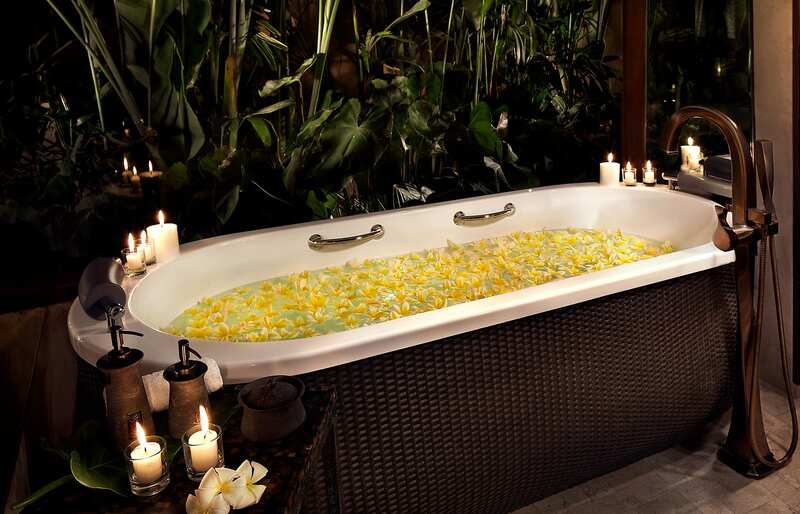 The stunning setting is just one side of the holistic luxury offered by this tropical resort. 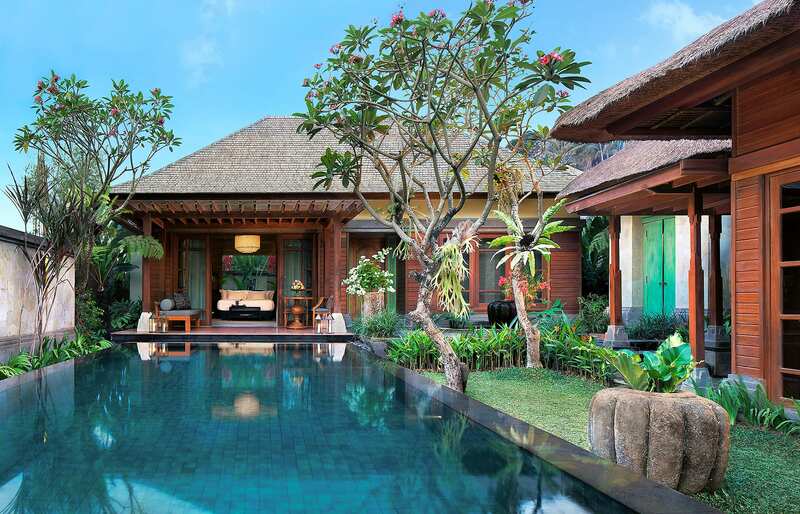 There are restaurants, spa and over sixty suites (the smallest of which is almost 100 square metres)—as well as spacious and beautiful private pool villas. This is where we were led to from the lobby, for a seamless and speedy in-villa check-in. Once our all-smiles-butler left we could begin to take in and appreciate just how beautiful our guest accommodation was. Our villa was set right on the riverbank, enclosed within walled space with a separate living room, veranda and the pool. The highlight was the bedroom, superbly designed in an understated luxury style that prompted various oohs and aahs from both of us. The swanky bathroom also had a serious wow factor. White and dark-brown, it delights with a classy, glamorous look. 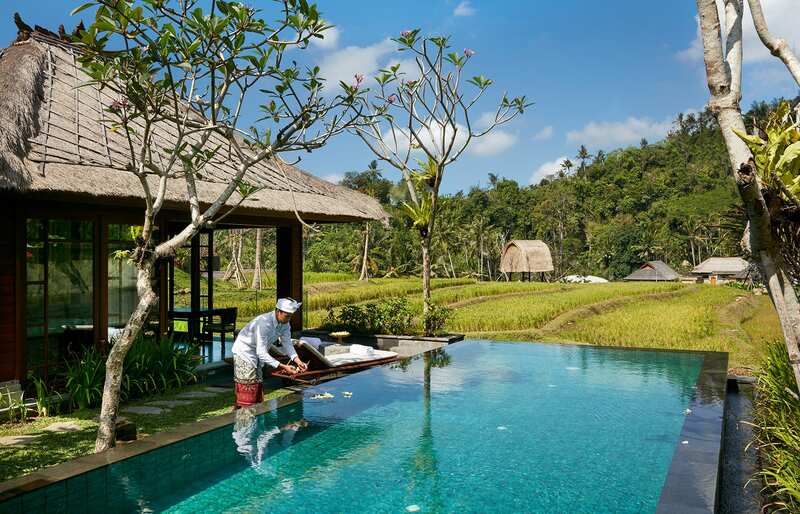 Spaciousness is the feature here not only in the suites and villas, but throughout the hotel grounds, which include a sizeable chunk of paddy fields as an integral part of the property. The landscaping is at least pretty, but it will be beautiful, once the newly planted trees, bushes and flowers age sufficiently. With its treatment rooms opened up to the river, the spa invites to try individually tailored wellness and health programs, which include “Heat Experiences” consisting of Sauna, Steam Room, Ice Fountain. The next-door Kubu restaurant is a lovely surprise—and it became our favourite spot, especially for the evening drinks. Set against the clean, elegant luxury of the resort, the Kubu’s nine private cocoon pods seem like organic creations as if from a fairytale. 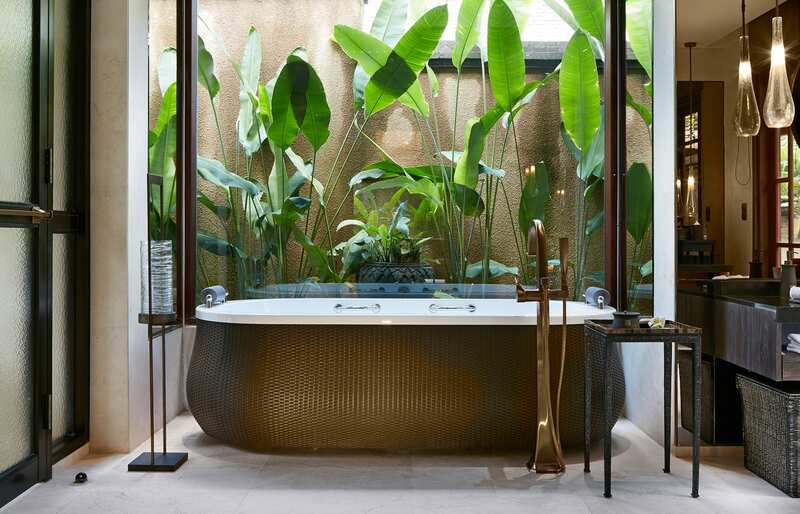 They almost feel at odds with the rest of the resort—but then, when creating a property like this in Bali, it certainly is a good idea to have at least one of its elements veering into the organic realm—among all the sophisticated luxury of the Mandapa, a Ritz-Carlton Reserve. 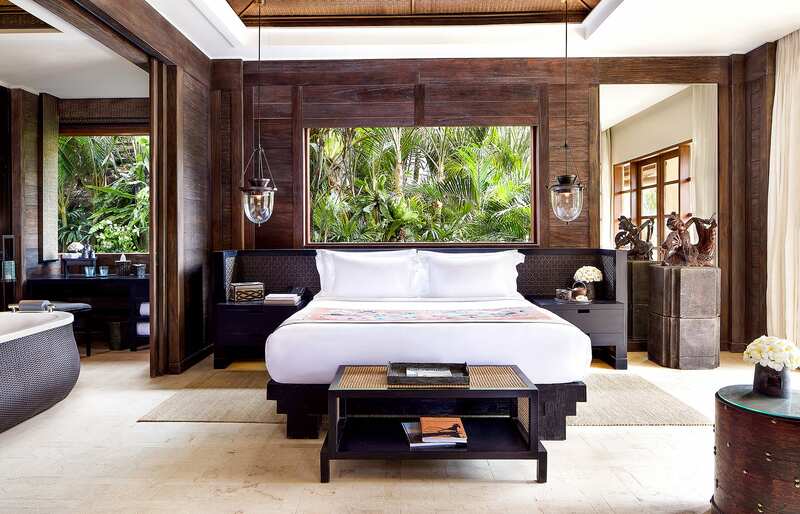 This new resort wows with sophisticated interior design and location in a natural river enclosure among lush tropical jungle. 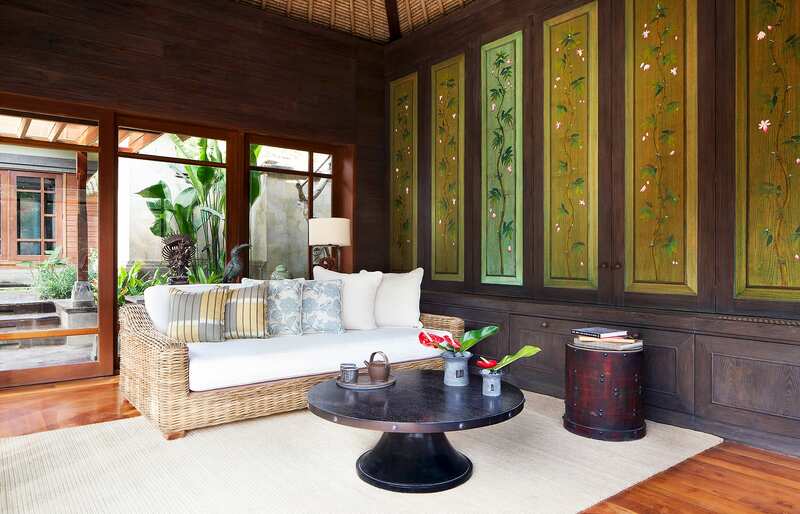 Mandapa, a Ritz-Carlton Reserve in Ubud promises—and delivers—refined luxury in the heart of Bali. Stunning location, with the lobby at the top, and the rest of the resort at the bottom of the valley, arranged by the Ayung River. Pretty much everything about our riverside villa (# 16)! 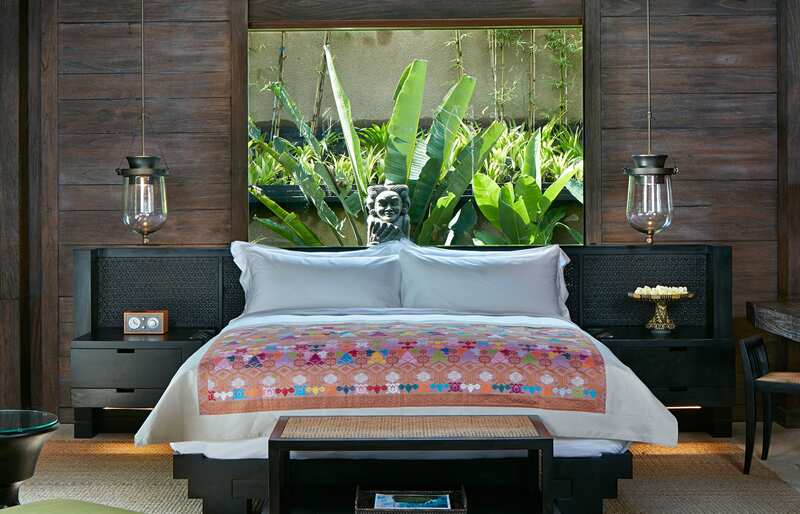 Gorgeous design in and out, perfectly blending Balinese vibe with contemporary aesthetics. 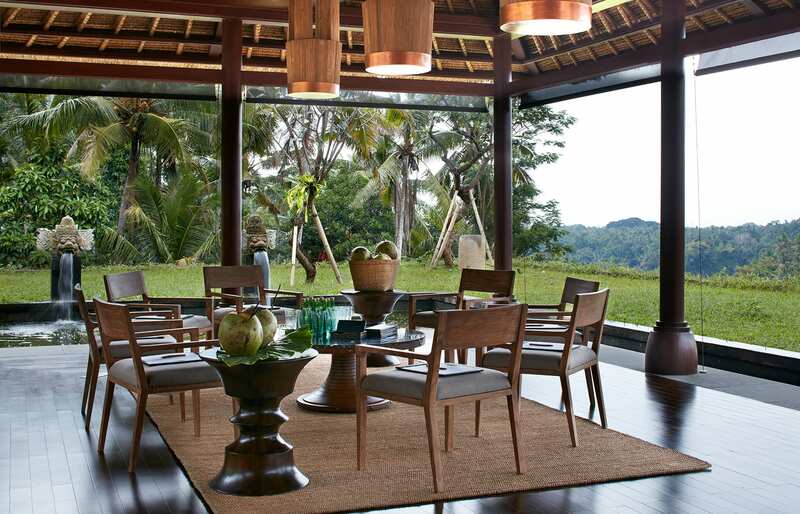 Truly it was one of the most elegantly designed villa we stayed in Bali. Our accomodation also came with a massive private swimming pool, surrounded by frangipani trees and overlooking the river. It was perfect! The same can be said about every member of staff. Service was fantastic through-and-through—kinda surprising for such a new hotel. 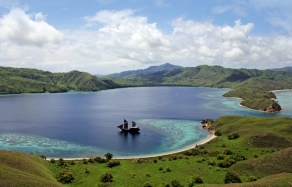 Kubu Restaurant. It's one of those places that inspire genuine “wow” exclamations. 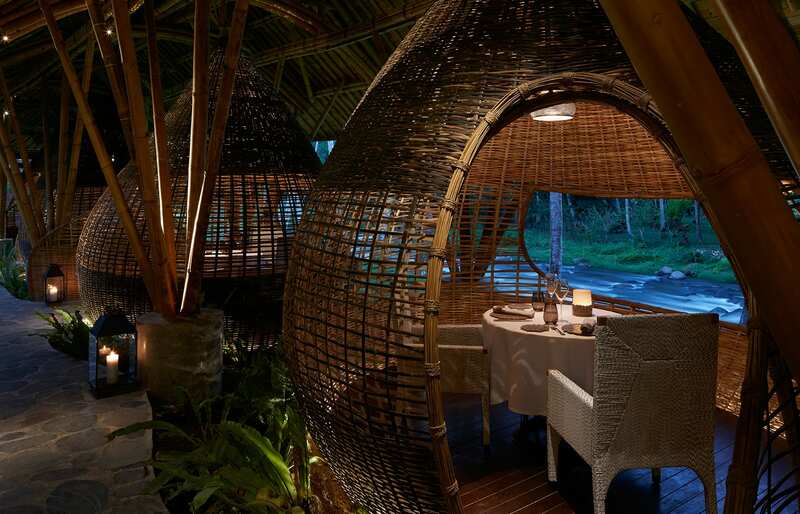 Created entirely from bamboo and wicker, its design is out of this world. The atmosphere at night is magical, with moody lights and soothing sounds of river. View from the valley-top lobby, especially just before sunset, when sunrays pierce through silhouettes of trees on the opposite side of the valley, penetrating into the patios overlooking the rest of the resort, far, far down below. 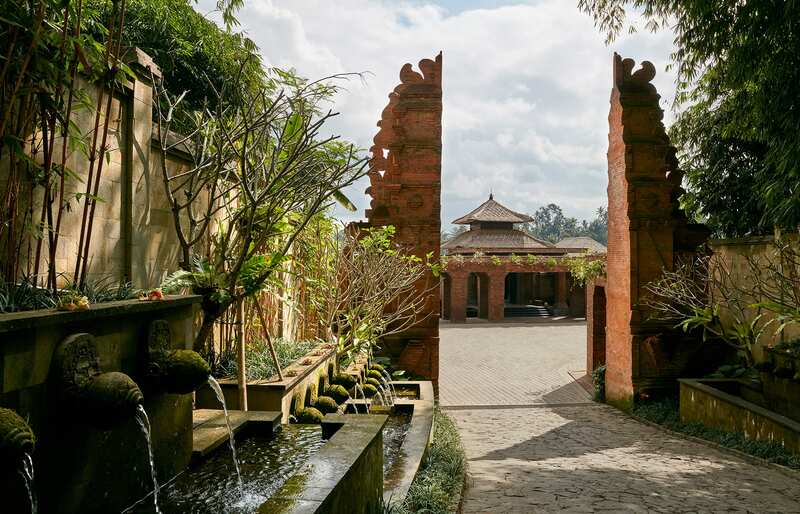 This new property (opened in 2015) still has a relatively undeveloped greenery in the main areas of the hotel—give it a year or two and the Mandapa grounds will give a very different impression. 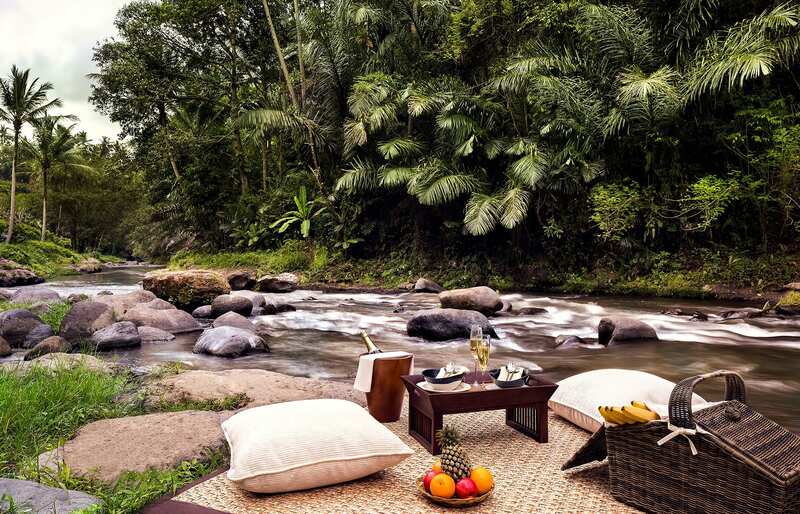 The riverside villas are very private and enveloped in the quiet sounds of the river, but this tranquility is occasionally pierced by voices of the tourists doing the white water rafting. These villas are also cast in a deep shadow at least two hours before sunset, as they stand close to the carved by the river cliff. 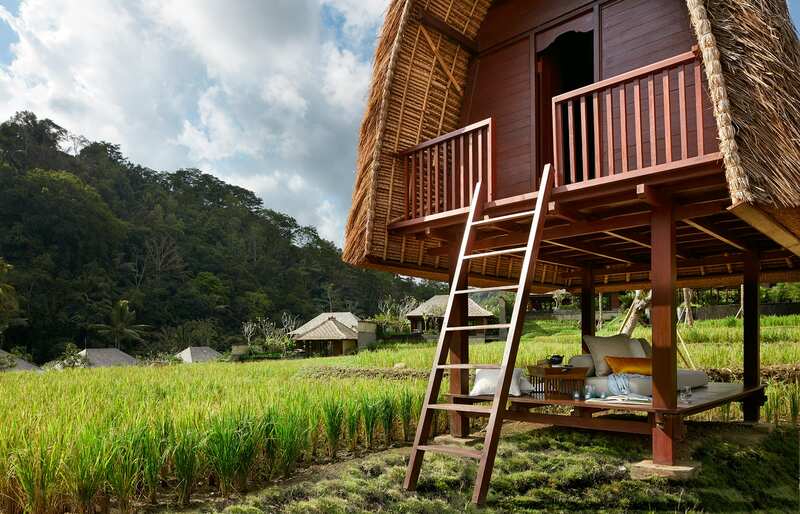 Some pool villas are placed alongside the paddy fields and although they benefit from nice view they are way less private than the riverside ones. We thought the restaurant serving breakfast and lunch was a bit cramped—which felt odd at a hotel that offers vast amount of space overall. We weren't entirely sure all elements of the resort's design work equally well. For example the main building supporting the clifftop lobby has a very imposing, monumental appearance. The spa also has an unappealing, almost brutalist style. One thing was missing: at sunset the main resort areas get shadowed, but the beautiful lobby benefits from a fantastic position on top of the valley. It would be a perfect spot for a bar (and sundowners!). 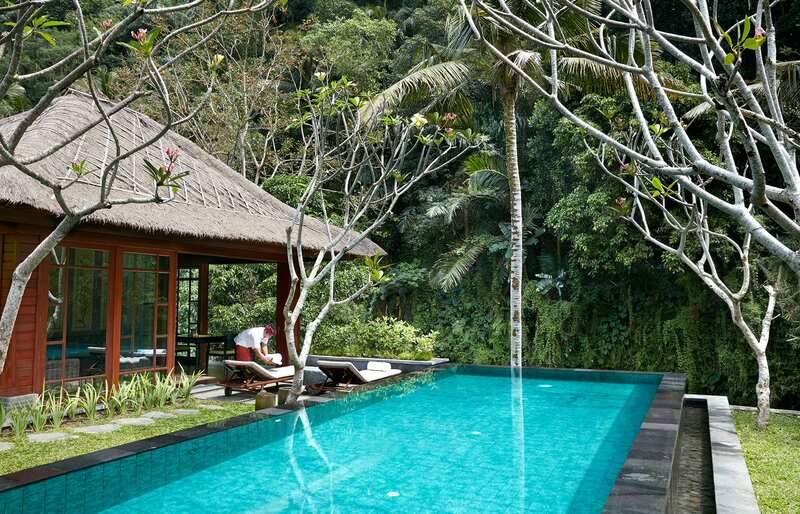 Among the more unique experiences offered, the resort has a classic VW 181 convertible, in which guests can be taken on a ride over the beautiful countryside, visiting places like the Tirta Emphul water temple or Ceking village, Mount Kawi and more. The resort is located a mere 20 minutes by car from Ubud and there is a free shuttle service every two hours (from 9am to 5:25pm). Depending on traffic, it takes some 90 minutes by car to get to the international airport.